With the 2018 FIFA World Cup only a few short weeks away, we finally receive news of a potential release date for the highly-teased Off-White™ x Nike Football collection. Dedicated to the Beautiful Game, the capsule will include an array of footy items including jackets, hoodies, track pants, shorts, socks, and a football. Also included in the collection is the black and white checkered football kit and both colorways of Nike Zoom Fly Mercurial Flyknit in black and orange. 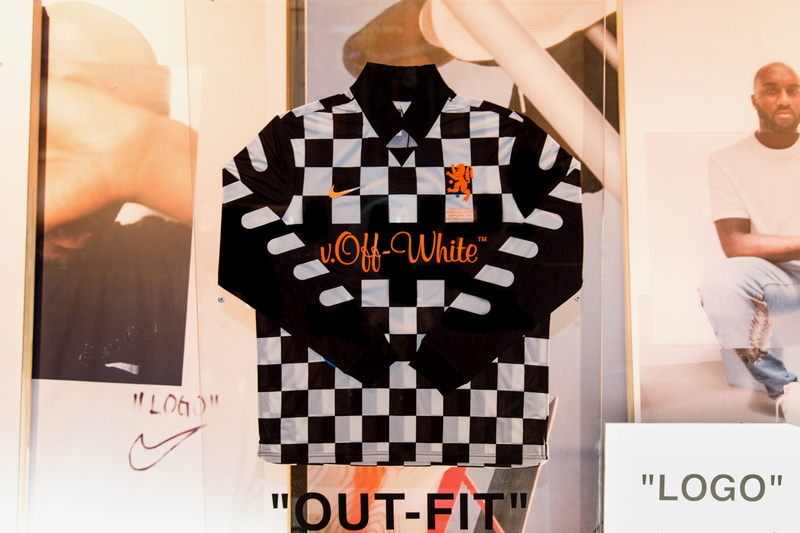 According to @py_rates, the full Off-White™ x Nike Football Collection will drop on June 14, the same day the 2018 FIFA World Cup kicks off in Russia, ranging from $30 USD for the socks to $500 USD for the men’s jacket. Keep it locked here for a full unveil of the collection. Pusha T Viciously Responds to Drake's "Duppy Freestyle" On "The Story of Adidon"
Keeping the focus on hoodies and graphic tees. Jason Blum’s celebrated Blumhouse Productions is on board, too.